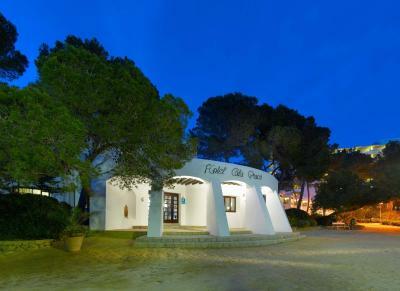 Lock in a great price for Fiesta Hotel Cala Gració- All Inclusive – rated 8.8 by recent guests! 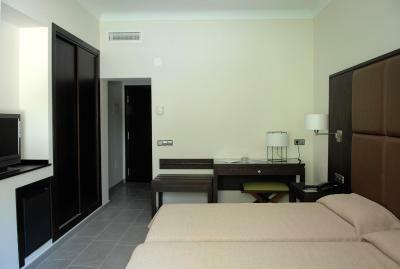 The rooms are very modern with large balcony. Food is exceptional as is the quality of the spirits/drinks. Location is fantastic and this is why we have returned year after year. 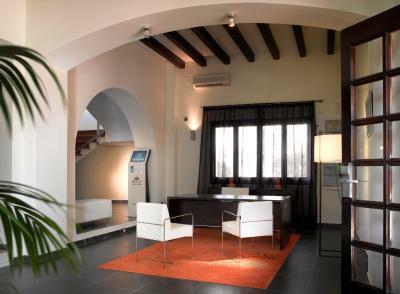 The reception and cleaning staff are very helpful and the bar staff are always smiling. Friendly staff, excellent service, cleanliness, great choice of food. The hotel was great value for money and a great distance from San Antonio to watch the sunset and acsess the night life. 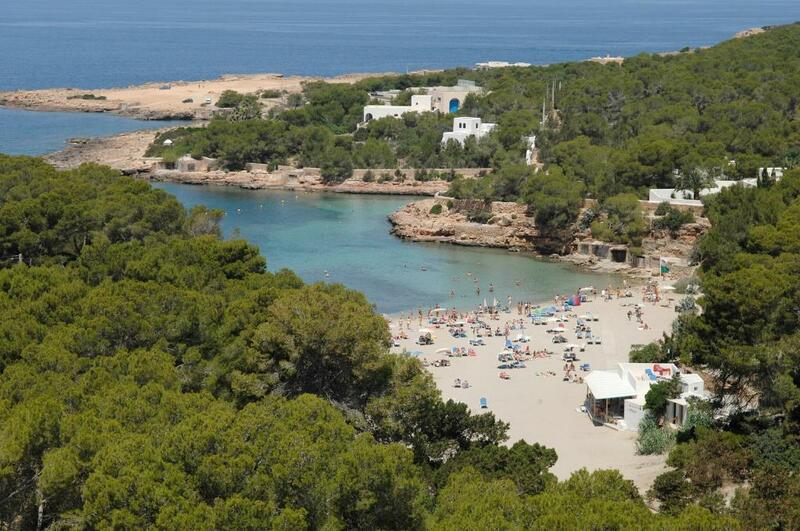 I love that the property is literally a stones throw from Cala Gracio/ Gracioneta beaches. The hotel is gorgeous and the food was amazing, we travelled with a vegan and there was always plenty of choice. The staff are outstanding and always welcome us back like long lost family. The food is really fantastic and the chef manages to put out a fantastic range to suit all tastes. The cleaning staff deserve a mention as they keep the place super clean and always with a smile and wishing us a good day along with the outside staff attending the pool areas keeping them clean and sanitary. We have returned to this hotel at least half a dozen times over the years and can say hand on heart it’s a really great place to go. Choice good at breakfast, lunch and dinner. Very quiet pool area. Nobody really actually went in the pool. Spacious double room. Far enough away from the noisy Dan Antonio bars. Drinks were of a good quality for all inclusive. Friendly staff. 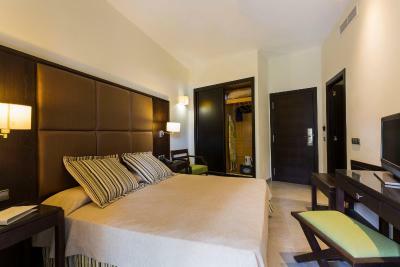 The room is a contemporary boutique hotel style. 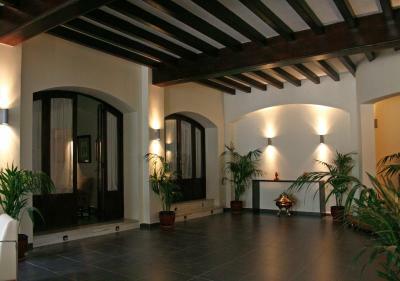 In another part of Ibiza you would pay considerably more for a room of this type. The facilities were more than satisfactory. The staff were especially nice. This is one of the oldest hotels on the island and build accordingly with thick walls, which means you get no disturbance from the sister hotel close by. Excellent crash pad if you are always out. Good house menu. Close to Gracionetta beach which is a best keep secret. Hire a car and hit the beaches at Salinas, Cala Jondal and Cala Bassa. 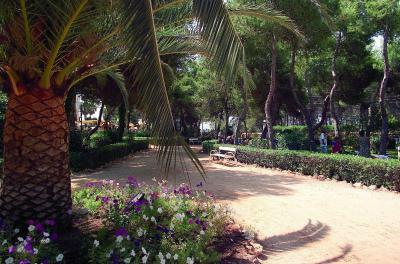 20 mins to Ibiza town (without traffic). 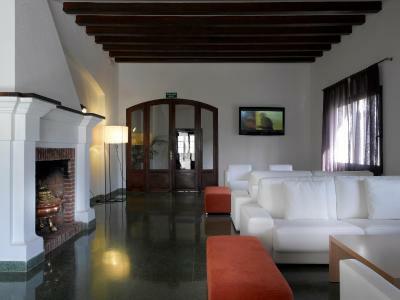 This is our second time at Hotel Calla Gracio and we will return again! 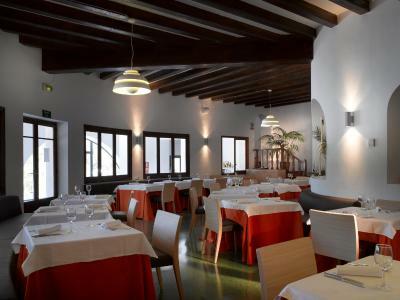 Fiesta Hotel Cala Gració- All Inclusive This rating is a reflection of how the property compares to the industry standard when it comes to price, facilities and services available. It's based on a self-evaluation by the property. Use this rating to help choose your stay! 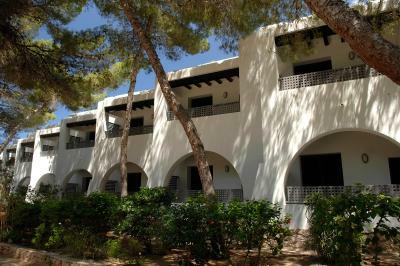 Built in the characteristic Ibizan style, this beachfront hotel is surrounded by gardens. 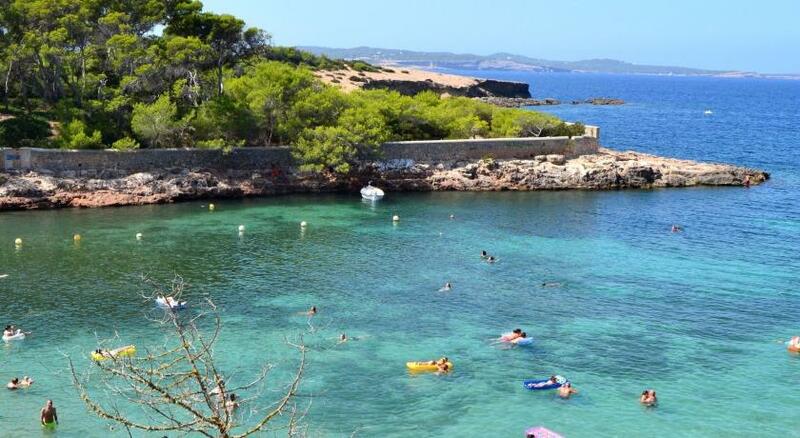 These lead to the peaceful beach and clear waters of Cala Gració Cove. This hotel provides everything for a relaxing holiday beneath the Mediterranean sun, including a freshwater outdoor swimming pool. There are also several floodlit tennis courts and a mini golf course. The center of San Antonio is only 0.6 mi away, and Ibiza’s lively city center is 12 mi from the hotel. 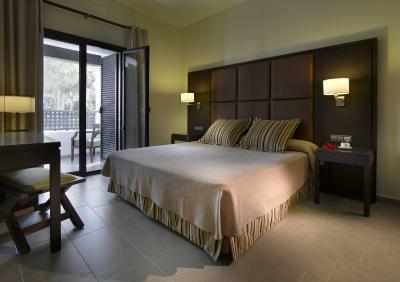 When would you like to stay at Fiesta Hotel Cala Gració- All Inclusive? 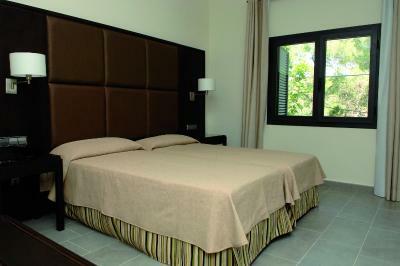 Offering garden views, this modern, air-conditioned room has a flat-screen TV and a bathroom with a hydromassage bath. 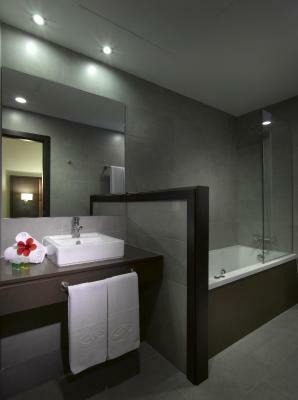 This twin/double room features a iPod dock, spa bath and satellite TV. This 3-star superior hotel offers an exclusive adults-only experience right next to the stunning beaches of Cala Gracioneta and Cala Gracio. Relax in the outdoor pool during your stay, enjoy exquisite dining options and choose from a variety of leisure activities. Wired internet is available in public areas and costs EUR 8 per 24 hours. 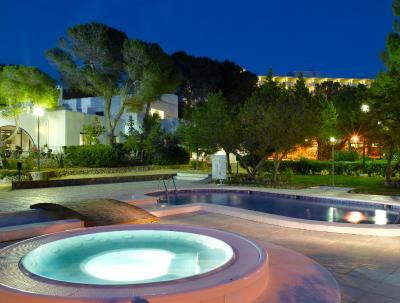 House Rules Fiesta Hotel Cala Gració- All Inclusive takes special requests – add in the next step! Fiesta Hotel Cala Gració- All Inclusive accepts these cards and reserves the right to temporarily hold an amount prior to arrival. Air freshener in public areas a little overpowering. Football/sports area next to adult pool can be a noisy. The bacon at breakfast wasn't up to much but still plenty of options. We had a double bed when we asked for two singles? We didn't bother asking for a change, it wasn't really an issue. The food is horrific, There is no water to have in your room, No bottled water within the complex even though we were staying in a resort which 'never sleeps', ridiculous that a nasic human need cannot be met when we have paid such a high amount for a 3 day stay. Food was inedable, had to spend more money buying all meals, Adults only section taken my everyone from the sister hotel. Poor, Very poor. The location and the cleanliness. Bathrooms mouldy, indifferent staff, food we ate was dreadful afternoon snacks had blatantly been left over from lunchtime - inedible. Ate in town for every other meal. First night we filled the bath, got in and turned the spa on and bath filled up with small black worms which were alive. Turned out to be the larvae of drain flies - great at midnight after a long day and late flight.... When I insisted on getting my first night's money back they weren't interested but I will not let that go at £270 a night. 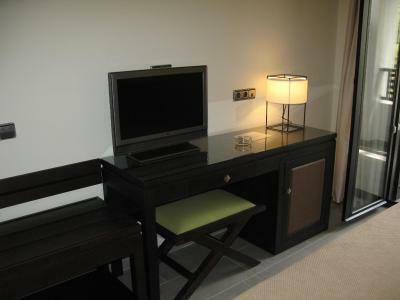 Too expensive for poor cleanliness and terrible food at £270 a night. swimming pool is awful ( too many people : people of the fiesta tanit hotel (next door) come in the pool of hotel cala gracio ) You have to do your checkin at the fiesta tanit hotel and than cross, with your luggage, the 'tanit' hotel swimming pool area to go to the hotel fiesta cala gracio. 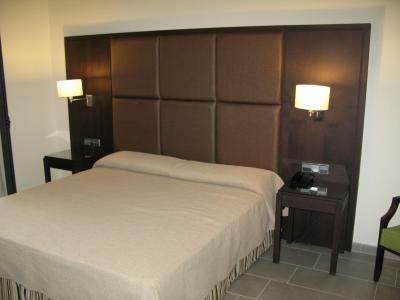 Great hotel, great modern room with a jacuzzi in the bathroom Quiet room at the backside of the buiding At a walking distance to San Antony ( walk along the coast, beautiful creeks !!! ) Great service at the restaurant, very friendly and helpful. 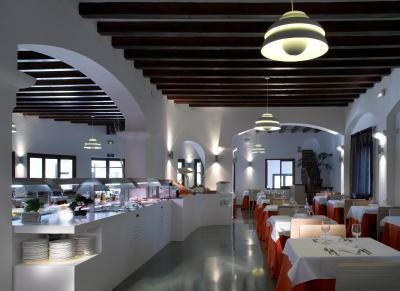 Good food ( service a la carte as well ) You may eat in other hotels of the fiesta hotels chain, a bargain !